The important work of authorship and website management is more technical and less intuitive than it should be. We deliver a user experience that is tailored to the client and content managers. The interface is simpler, workflows are streamlined and intuitive, sensitive data can be better secured, and we can mitigate against the client inadvertently damaging the site. 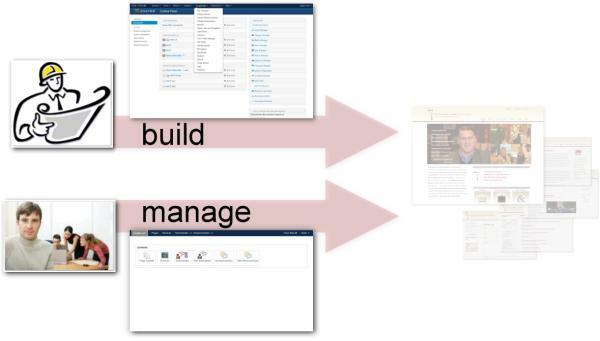 Authors can focus on messaging and business needs instead of developing CMS expertise. Meanwhile, we do not sacrifice features and functionality expected by the power users who build sites. What should this user experience look like? 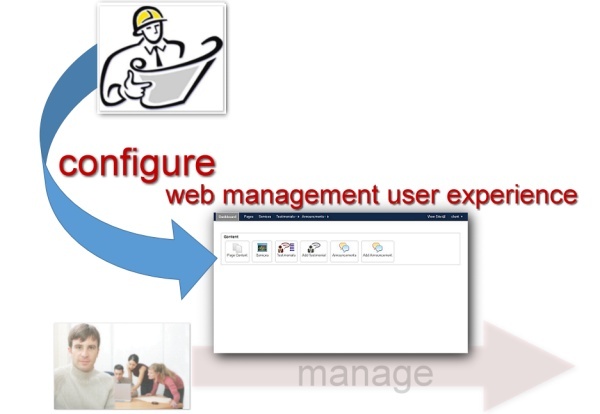 The iCue Project attempts to discover principles for tailoring the client’s experience in website management and illustrating these with examples. How do we build it? The iCue Project explores new techniques, experiments through prototyping, and distributes tools for the web developer who intends to tailor the CMS user experience for his clients. Are you interested in participating in this journey to discover and practice this new discipline? We encourage you to sign up for the iCue newsletter. Then browse the information and resources on this site.